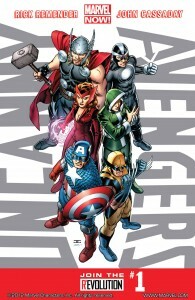 In the aftermath of Avengers vs. X-men we get the new series Uncanny Avengers. A series that will develop a new team of Avengers and mutants to protect earth and fight for the ideals of Charles Xavier. The story begins with the funeral of Charles Xavier and Wolverine giving his eulogy. This is followed by Havok (Alex Summers) meeting with his brother in prison. 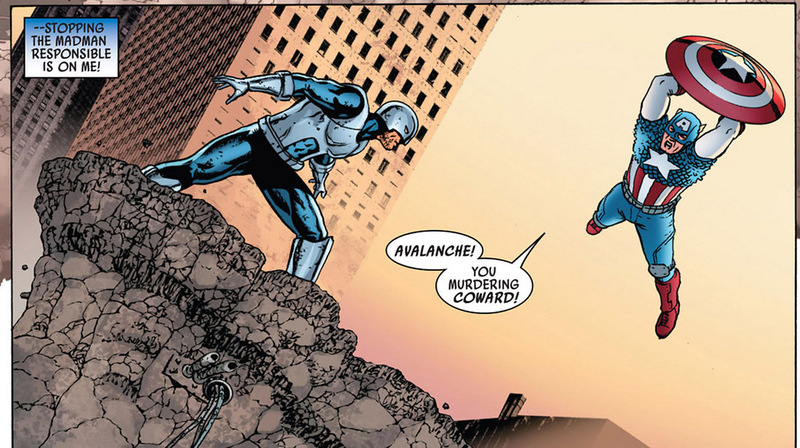 Then Alex is then met by Captain America and Thor who attempt to recruit him to lead the new team, but are interrupted by Avalanche attacking. 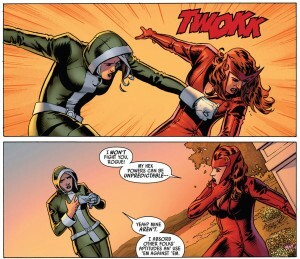 At the same time Scarlet Witch and Rouge find themselves also under attack. 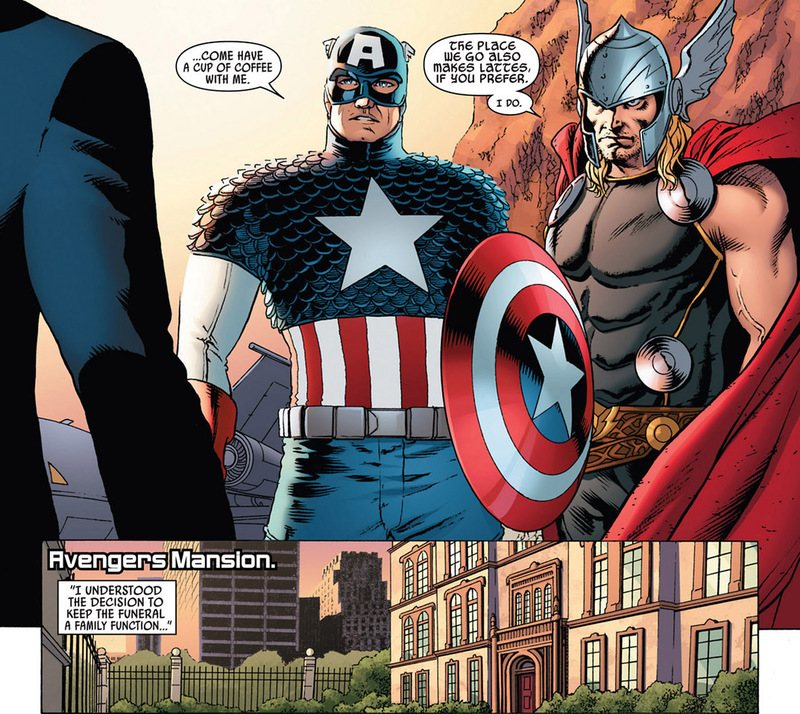 All of this leads into the big reveal cliffhanger that will get many Marvel fans excited about the upcoming stories. Overall the writing is pretty strong. The various plot points weave into each other and they lead into a ending that teases what the team will be facing in the near future. It is nice to see Havok gain a new team and the fights serve a purpose in the story. The only issue that came up was a line where it is implied that Thor likes Lattes. For some reason I cannot image Thor drinking a latte, black coffee or espresso yes, a latte no. However, that is a personal disagreement and it has no bearing on the story. The artwork is top notch, but some of the costume redesigns are a little odd. The battle sequences are a little rushed as it is mostly set up for the story, but there are a couple moments that look nice such as the scuffle between Rouge and Scarlet Witch. The use of shadows to hide the mysterious villain is well done and sets a very ominous mood. The cover also deserves mentioning with the cast shot and the title on either side, it is different and helps this book stand out. 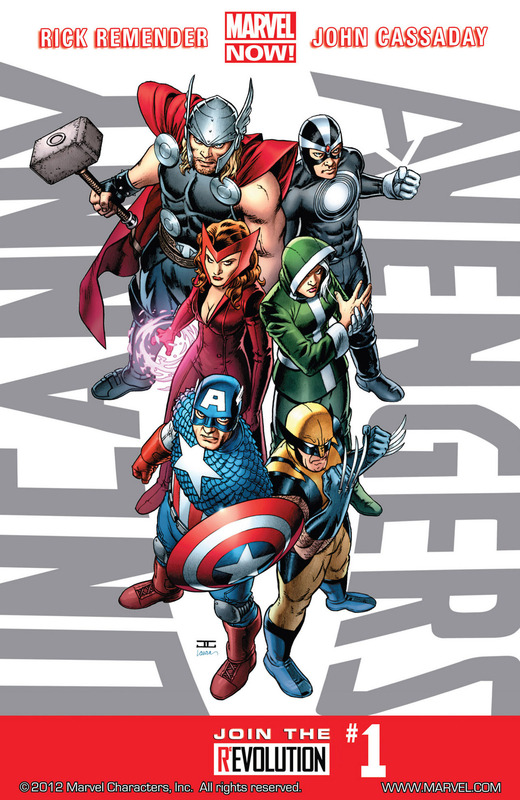 Uncanny Avengers is the first “official” Marvel Now book and it is a decent kick off to this new era, however, it will not be the easiest book for new fans to get into. While there is a quick synopsis of the Avengers vs X-Men event, it only helps so much. You need to have a working knowledge of the Marvel universe and the recent history to really jump in and the intended goal of bringing in new fans will likely not happen with this series. If you are a long term Marvel fan you will really enjoy this explosive opening, but if you are not into Marvel this comic will not convert you.